Civil Aviation globally is recognized as a very vital sector, and today global airlines carry over four billion passengers annually, and about 62.5 million tons of fright. This sector’s service provides 9.9 million direct job opportunities and contributes with 824 billion dollars to support the GDP. During the last thirty years, the UAE aviation sector has developed much to be one of the big and most effective sectors globally. The UAE aviation companies, which are Etihad Airways, Emirates, flydubai, and Air Arabia in Abu Dhabi, Dubai and Sharjah respectively, lead a prominent Quantum leap in infrastructure the matter that helped UAE to be one of the most important air transport hubs in the world. Aviation plays a big role in supporting the national economy and providing huge resources that push the development of the country forward, which helped in achieving tangible economic growth in just short time. This inspired the wise leadership of the UAE to initiate Sheikh Mohamed Bin Rashid Al Maktoum Global Aviation Award to recognize the achievements of this sector globally and the unprecedented qualitative leap on the global trade as well as the excellent services provided internally and externally. In the UAE, the Aviation sector contributes with 14% to the GDP. Furthermore, in the UAE the Aviation sector provides more than 500 thousand direct and indirect job opportunities, as it is a main source to support development of trade and tourism. According to the statistics, the UAE received approximately 18 million travelers in the year 2017 and the total expenditure of tourists amounted about AED 61.2 billion which is equivalent to 90% of the total visitors’ expenditure in the UAE. The total number of travelers through UAE airports during the period from January to December 2017 reached above 126 million, while number of travelers through the same airports during the January to September 2018 reached more than 98 million. The total number of flights during January to December 2017 was more than 882 thousand, while the number of flights during January to October 2018 reached over 700 thousand. Moreover, The United Arab Emirates has achieved an unprecedented global record regarding international air safety levels from the Universal Safety Oversight Audit Program of the International Civil Aviation Organization. The UAE also is a pioneer, and the country with most signed Air Traffic Agreements in regards to the open skies agreements. Stepping from our mission of organization and control of aviation safety, security and environment to provide excellent services, we coordinate closely with the aviation sector to preserve our leading position in this field. In the same context, GCAA spreads innovation and creativity among the staff to stimulate productive environment and new ideas that can contribute to the development of the sector internally and globally. 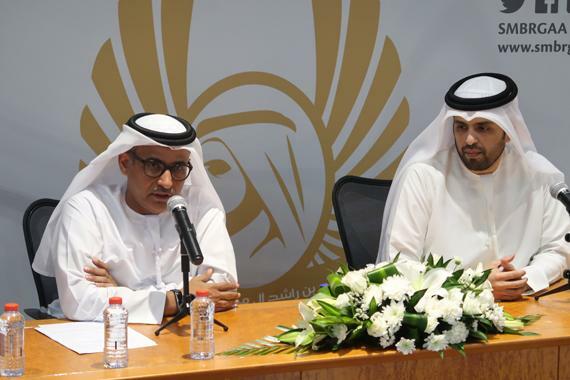 Based on this concept, the UAE- GCAA appreciates Sheikh Mohamed Bin Rashid Al Maktoum Global Aviation Award initiative that is going to be held every three years in Montreal – Canada. This Global Award aims to demonstrate contributions of countries, trade organizations and individuals in the success of aviation industry based on the country’s leadership believe on the importance of this sector and in support to the initiative “No Country is left behind” of ICAO. H.E Engineer Sultan Saeed Al Mansouri Minister of Economy and Chairman of GCAA Board chairs sheikh Mohamed Bin Rashid Al Maktoum Global Aviation Award. This award is embodying the concept of generosity and aims to honor efforts of others in pushing forward the march of this sector. The total amount of the award is one million dollars. The GCAA believes much in the importance of innovation, sustainability, and cooperation in the aviation sector in the UAE and globally. It also believes in realizing more achievements through strategic partnerships and cooperation with other countries as well as conducting scientific research and providing opportunities globally to strengthen the aviation sector. This award is a good opportunity to introduce people to the recent global achievements of the aviation sector, and to encourage shedding a light on exceptional initiatives and visions to participate in the process of the sector’s success globally. The award scheme is composed of six categories each is designed to support the strategic goals of the aviation sector. These categories include State with Most Improved Quality of Aviation Infrastructure, Outstanding Global Connectivity Award, Outstanding Resource Contribution to ICAO Programs, Outstanding International Cooperation Programs, Aviation Personality of the Triennium, and Innovation (Aviation Safety, Security, Sustainability, Passenger Experience and Environment). I am delighted that candidates’ assessment for the award is based on accurate and fair criteria to ensure objective and fair selection. The selection process is carried out in cooperation with other airlines, national airports and experts in fields of every category of the award. A competent committee in the aviation sector will release the final decision for the award. We, in the GCAA support the leadership vision in initiating such awards and activities and all that can contribute positively to the march of aviation industry in the country and its development strategy. The award also aims to further strengthen ties with the aviation community globally, and to boost innovation and intellectual liberalization in the global aviation sector. The awarding ceremony will be held in 2019 during the ICAO’s 75th anniversary.